It can put a smile on your face. The right kind of mulch does a lot of the work for you. Whether it's vegetables, flowers, or trees, the benefits of a good hardwood mix makes a huge difference. Has been doing landscaping for us including annual mulching and bed clean-up for years. 1) Insulates soil from extremes in precipitation and temperatures. 2) Minimizes weeds and work. 3) Protect against soil erosion around plants. 4) Helps the soil retain water. That means less watering for you. Tip #1) You can kill unwanted grass and weeds by laying newspaper down before applying a layer of mulch or compost on top. This blocks sunlight and being an organic material, will decompose over time. Tip#2) Wood mulch comprised of too many large chunks won't insulate the soil as well. 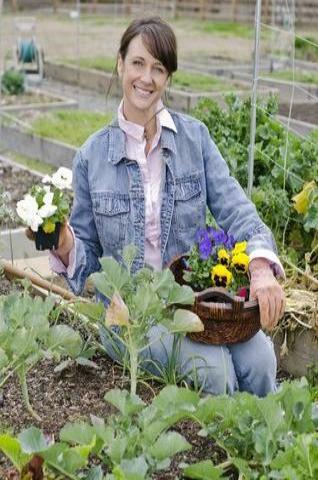 Mulching is of the most beneficial gardening and landscaping practices known. Delivered Mulch in the St Louis Area is What We've Built Our Name on, But Why Choose Us? We specialize in double-ground hardwood mulch, and carry additional varieties to suit your preferences. We're reasonable, dependable, and professional. We most commonly use a premium variety that retains moisture, and does great at preventing weed growth. It feeds and enriches the soil without encouraging disease and bugs. We deliver in bulk, but also offer bed preparation, clean-up, and spread mulch for about 80% of our customers. What it's NOT . . . Nothing straight from the saw mill. Not like some products pawned off as natural mulch. This is the real stuff. Good value and reasonable prices. Clean up- We leave the job site in good order. Great mulch- Specializing in double-ground hardwood mulch. We carry all including compost. Experience- Satisfying St Louis mulch delivery and landscaping customers since 1993. Erich, I'm very satisfied with the job you and your crew did in mulching our yard today. The amount of material you spread, and the care you took to place it around our plantings was tremendous. I can assure you that you will now have another repeat customer! by all kinds of plants and people. Want some help with mulch, garden, or landscaping jobs? 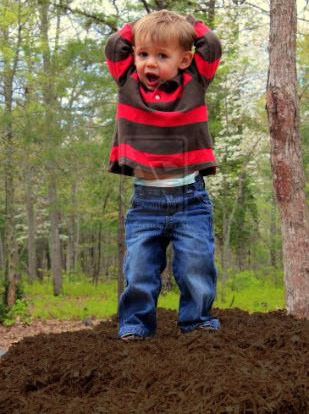 This customer prefers his landscaping mulch in bulk. Credit card purchases have a 4% convenience fee. That fee is Waived for All Cash and Check Payments.